What a knowledgeable and friendly staff! 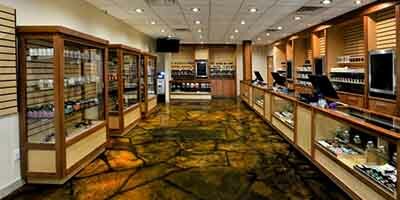 I love going here and learning about bud from the people who work here, they are awesome! The prices are a bit higher than some nearby dispensaries but the bud is much higher quality than a lot of dispensary in the area. Thank you! ~ Haley B.
I love this place! They have a rewards program linked to your phone number I love to get rewards. The people here are very kind and super knowledgeable. I always love going in here and getting great products at great prices. ~ Breanna T.
This has been my dispensary for about 5 months. I have never walked away dissatisfied. The staff is knowledgeable, friendly and professional. I really love this place. ~ James K.
A friend recommended Rocky Road Remedies and I see why! I was helped out very quickly, they answered all my questions, their daily specials are great, the product is fresh & potent, and the shop is very well lit & well-kept. I will definitely be back! ~ Jonathan B. L.